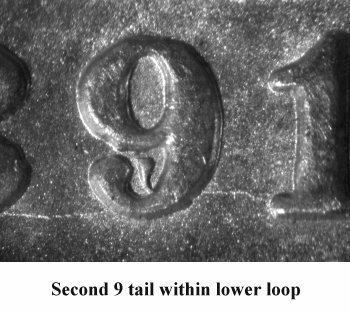 Comments: On Obverse 8, an extra repunched "tail" or ball of the 9 digit is visible in the lower loop. 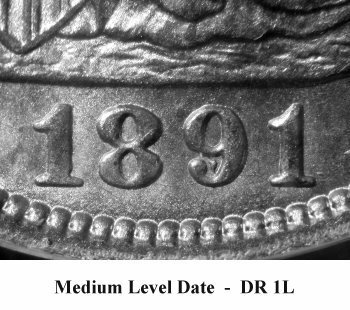 A die crack connects the bottom of the date digits. 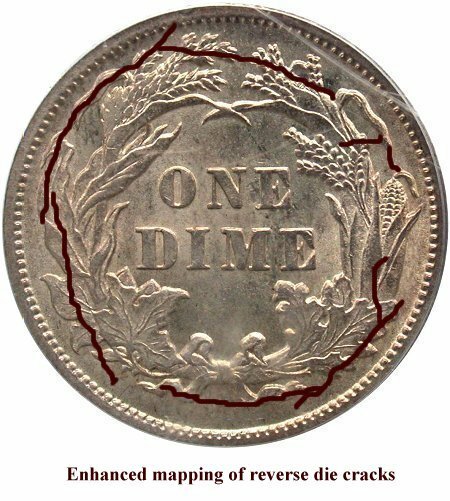 Another die crack is seen from the toe to AMERIC(A), then from (A)MERICA up through bottom of OF to cap. A die crack connects bottom of letters UNITE(D STATES). Reverse H is cracked throughout the wreath. See the illustration above. 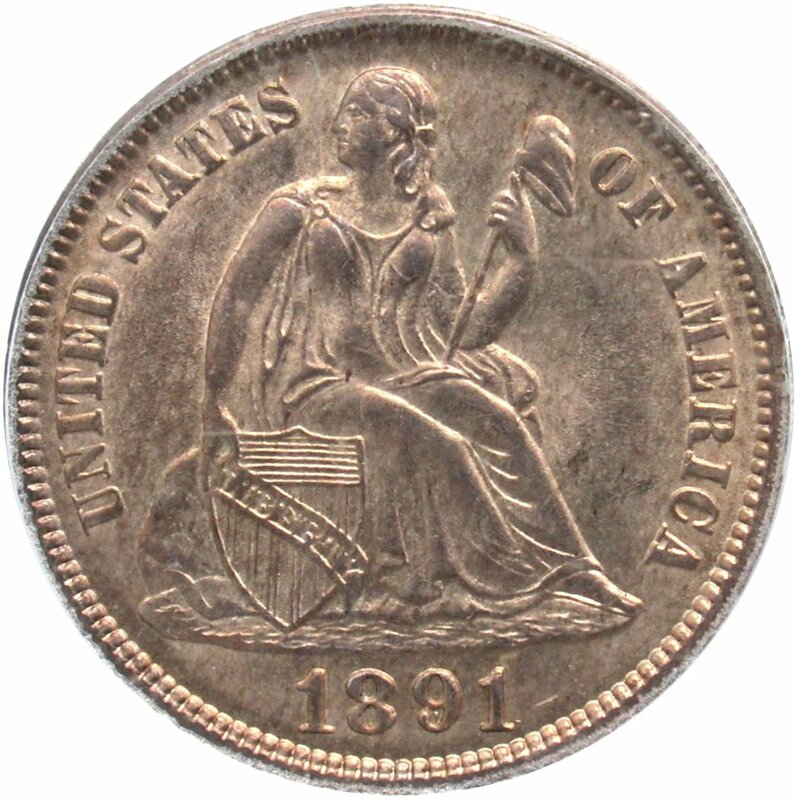 John McCloskey was the first individual to document this 1891 variety. Brian Greer later listed this variety as Greer 102. On July 10, 2012, NGC's Research Director, David Lange sent along an email indicating that Doug Plasencia of the NGC staff took a photo of 1891 F-108 submission that showed more of the original date than I had previously listed as F-108. Inspecting the below image carefully, repunching can be seen in the upper and lower 8 digit loops and to the right of the 1 digit's right foot. 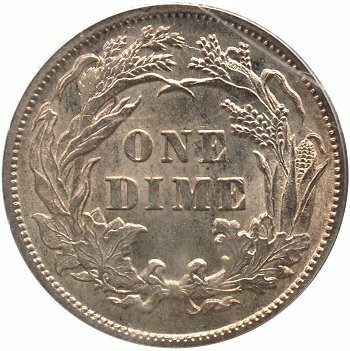 David suggest that the F-108 variety previously listed as a repunched 9 is actually a repunched 1891. Based on the NGC image, I must agree with him and have updated this listing accordingly.